Qualification : Candidates should have done General Educational Qualification viz. Must have passed S.S.L.C (Matriculation – 10th Class) Public Examination or its equivalent with eligibility for admission to Higher Secondary Courses of Studies (or) to College Courses of studies. Candidates should possess knowledge of Tamil. 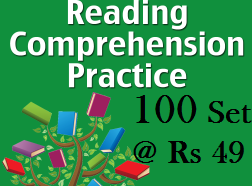 Exam Fee : Rs.150/- (Exam Fee Rs.100/- + Cost of Application Rs.50/-). Candidates claiming exemption from examination fee should pay Rs.50/- towards Application Cost. Those who have registered in the one time registration system and paid the registration fee of Rs.50/- and received the registration ID need not pay the application fee for a period of 5 years from the date of registration even if he applies for any other posts, subsequently notified by the Commission. Selection Process : Selection proces will be based on written exam and interview. How to Apply : Eligible candidates can apply through online at website http://tnpscexams.net/.